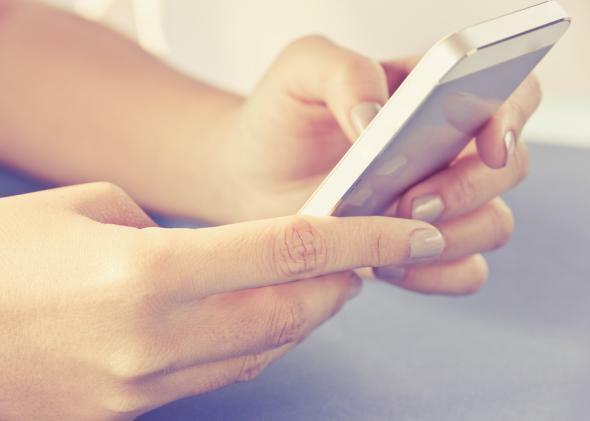 Girls sexting: Study finds young women are called sluts if they sext, prudes if they don't. Teen sexting is one of those things that gets many adults into full-blown the-world-is-going-to-hell mode, but a new paper published by University of Michigan researchers Julia Lippman and Scott Campbell in the Journal of Children and Media suggests that the main problem with sexting isn’t the new technology but the old sexist traps that have ensnared women and girls forever. Lippman and Campbell studied 51 adolescents representing “an appropriate balance of age, gender, race, socioeconomic status, and population density,” and found that kids sext for the predictable reasons: for fun, to flirt, to get off within the context of a relationship. Both boys and girls do it in equal numbers, but the real problem is that girls find themselves in no-win situations where no matter what they do when it comes to sexting, there are misogynist stereotypes ready to be applied to their choices. Researchers found that the boys they interviewed were swift to demonize girls for sending texts, with the usual array of slurs—“crazy, insecure, attention-seeking sluts with poor judgment”—aimed at women who are sexually forward. Boys who sent sexts did not experience having their mental health called into question, nor was desiring attention or sexual pleasure considered a negative trait for the boys. As one wrote, “my boyfriend or someone I really liked asked for them. And I felt like if I didn’t do it, they wouldn’t continue to talk to me”. Another claimed “guys ask for them and if we don’t send them they will think we aren’t outgoing and get mad”. It is possible that for this latter participant, who elsewhere in her response wrote “every teen does it. I usually send it to guys that ask,” her sense of the descriptive norm (“every teen does it”) and the social injunctive norm (that she would incur social sanctions if she did not sext) contributed to her sense that she had no option but to sext. In addition, girls who didn’t sext were also described as “goody girls” or “stuck up.” So while the technology is new, the ancient sense of male entitlement to demand sexual favors and then mock those who provide them is the real issue at stake here. On top of the utter unfairness of all of this, it’s also hard to imagine that girls have much mental energy left to devote to figuring out what they want when they have to spend so much time trying to strike a balance between pleasing boys and not having boys mock them for trying to be pleasing. That’s why this isn’t a problem that will be fixed simply by discouraging girls from sending sexts. The real issue can’t be solved until we ask why it is, in the 21st century, that so many girls still feel like their sexualities should be constructed around what boys want of them, and encourage girls to realize that it’s far more important to figure out what they want for themselves.